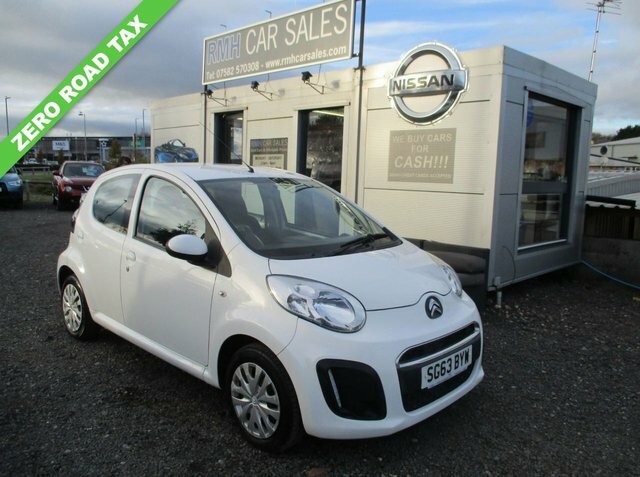 Discover the superb range of used Citroen cars for sale in St Helen Auckland right here at RMH Car Sales Ltd. We strive to make buying a second-hand vehicle as quick and as easy as possible by always going the extra mile to help our customers find the right car to suit their lifestyle and budget. View our current stock of used Citroen cars here on the website and you're sure to find a model to suit your needs. Whether you're in the market for a small runabout like the Citroen C1, a quirky crossover like the C4 Cactus or a spacious and practical vehicle such as the Berlingo Multispace, we're here to help. Get in touch today to find out more. Finance is available to UK residents aged 18 years or older, subject to status. Terms & Conditions apply. Indemnities may be required. Other finance offers may be available but cannot be used in conjunction with this offer. We work with a number of carefully selected credit providers who may be able to offer you finance for your purchase, commission may be received. We are only able to offer finance products from these providers. Postal Address: RMH Car Sales Ltd, Unit 7-8, Abraham Retail Park, St Helen Auckland, County Durham DL14 9TT. Find contact details here. RMH Car Sales Ltd is authorised and regulated by the Financial Conduct Authority, FRN: 741224. All finance is subject to status and income. Written Quotation on request. We act as a credit broker not a lender. We work with a number of carefully selected credit providers who may be able to offer you finance for your purchase. We are only able to offer finance products from these providers.